Along Main Street in Speedway, a stunning transformation is nearing completion. New infrastructure, new businesses, and new apartments in Speedway have turned this area into a trendy and walkable neighborhood. 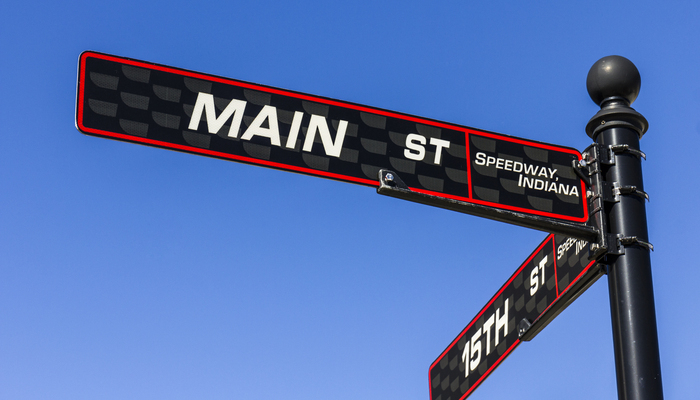 Main Street is lined with outstanding independent restaurants, including establishments from two Indiana brewers – Big Woods, and Daredevil Brewing Co. (On Wednesdays, the Speedway Running Club meets at Daredevil to embark on its 5K walk/run). Other restaurants and taverns include Dawson’s on Main, Barbecue and Bourbon, Tacos and Tequila, O’Reilly’s Irish Pub, and Foyt Wine Vault (owned by racecar driver A.J. Foyt and his family). Another driver-owned venture on Main Street is Sarah Fisher’s Speedway Indoor Karting. Visitors can choose between an oval track or a 14-turn multi-level track. The building also houses a restaurant – 1911 Grill – that has a game room and four mini bowling lanes. Golfers who live in Speedway have easy access to Brickyard Crossing Golf Course, which Golf Digest and Golfweek both named one of the top 100 public courses in the United States. Most of the course is adjacent to the Indianapolis Motor Speedway, but four holes are actually inside the famous oval, accessible via a tunnel that runs beneath the track. The nine-hole A.J. Thatcher Golf Course is about two miles south of the Brickyard, and Coffin Golf Club is about three miles east. For people who work for Allison Transmission, Praxair, Rolls Royce, or IU Health network, Speedway is a convenient location, and people who frequently travel for work may appreciate living in Speedway because it’s about 13 miles from Indianapolis International Airport. The Wilshaw is now renting the first Speedway luxury apartments on Main Street. Our smoke-free community features a resident game room and lounge, valet trash service, and keyless entry with smart locks. Get a closer look at the Wilshaw – contact us today! (317) 342-9441.